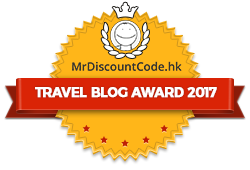 Hong Kong Travel Blog provides information about Hong Kong attractions, things to do in Hong Kong, places to visit in Hong Kong, Hong Kong festivals and events. A navigation page for Hong Kong sightseeing spots, best Hong Kong shopping places, delicious Hong Kong food and more. It is all about Hong Kong. Where is Hong Kong, looking for Hong Kong map, want to learn more about Hong Kong weather, Hong Kong currency and Hong Kong public transport, check this page. Want more tips on attractions in Hong Kong, have ideas on Hong Kong places to visit, want to do guest post, look for business partner, ad placements? Contact us!